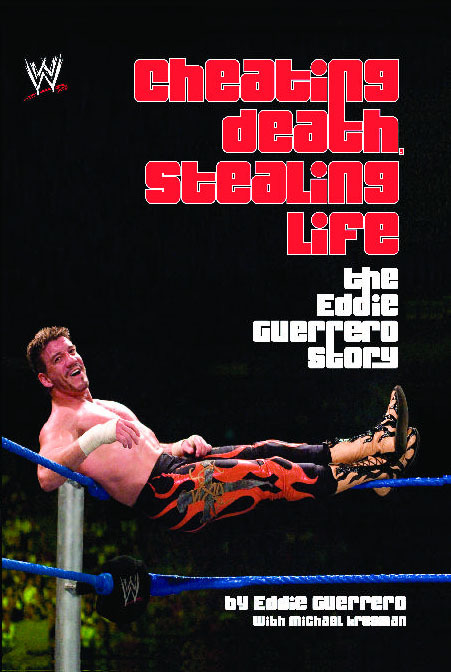 One of the most inspiring stories in wrestling history, Cheating Death, Stealing Life sees Eddie Guerrero recount his saga in remarkably candid fashion, chronicling a life of heartbreaks and painful personal struggles in frank, graphic detail. Guerrero was born into Mexico's first family of sports entertainment. His father, Gory Guerrero, was a Mexican wrestling legend. Before Eddie turned twenty, he was wrestling in Mexico. Soon Guerrero was blowing away fans as part of the upstart Extreme Championship Wrestling. World Championship Wrestling was looking for innovative new talent, and Guerrero's unique style fit the bill. Unfortunately, the backstage politics of WCW kept Guerrero away from the spotlight. Eddie sought solace from the pressures of life on the road by living hard and partying harder. Even a series of drug overdoses and a near-fatal car accident could not change his ways. When a group of wrestlers opted to leave WCW, Guerrero joined them, signing with World Wrestling Federation. Unfortunately, a freak injury in Guerrero's debut match took him out of the action. Upon his return, Eddie was paired with Chyna, which launched his indelible Latino Heat character. However, years of the wrestling lifestyle, of nightly partying and frequent injury, led to addictions to both alcohol and painkillers. Guerrero spent four months in a rehabilitation facility. Sadly, he had not yet hit bottom. A relapse into alcohol abuse resulted in a DUI conviction and the loss of his job. Though Guerrero had lost everything -- his family, his money, his job -- he never allowed himself to lose his pride. Eddie returned to the independent circuit, where he regained his reputation as one of wrestling's most electrifying performers. Guerrero searched deep within himself and fought to regain the life he had lost. His journey of self-discovery reawakened his relationship with Jesus Christ, and he found peace and strength in the Bible. Before long, World Wrestling Entertainment offered Guerrero a second chance. From the moment of his return, it was clear he was instilled with a new focus and passion. With his nephew, Chavo Guerrero Jr., Eddie made up one half of the wildly successful Los Guerreros tag team. The pair became one of WWE's hottest attractions. Ultimately, Guerrero not only regained his life, he surpassed his wildest dreams, becoming WWE Champion. Cheating Death, Stealing Life offers a no-holds-barred glimpse into the secret world of wrestling. It's also the story of Guerrero's private struggle, of a son caught in the shadow of a larger-than-life father and three older brothers, of a marriage that reached the brink of disintegration before being reborn. Throughout, Eddie Guerrero pulls no punches describing his battles with self-doubt and inner darkness. Sadly, in November of 2005, Eddie died due to complications of a heart condition. Cheating Death, Stealing Life is a story of great courage and personal redemption.